About the Author: Austin Yack is a student majoring in Political Science and minoring in English at the University of California, Santa Barbara. He has intern experience covering politics in Washington, D.C. See his full biography at the end of this paper. United States political discourse relating to the humanities often involves recognition rather than action. An analysis by 4Humanities of publications and proceedings issued by the Obama administration, Congress, and (as an initial case study at the state level) the California State Legislature shows that politicians discuss the humanities but implement very few laws striving to augment them in the educational and cultural sectors. In federal legislative actions since 2009, for example, even the Democrats in Congress, who were primarily responsible for bills or other speeches and documents mentioning the humanities, rarely did more than talk. The majority of Congressional legislation went no further than simply being introduced. What passed in each house consisted mainly of resolutions without the force of law. The use of resolutions merely to recognize also occurred in the California State Legislature. By contrast, the administration of President Obama more actively promoted the humanities through the President’s Committee on the Arts and Humanities, the National Endowment for the Humanities (NEH), and the First Lady’s political agenda regarding youth education. However, the executive branch could only influence the humanities to a certain extent because Congress has the power of the purse. Few pieces of substantive legislation corresponded with the president’s education agenda. Congress.gov is maintained by the Library of Congress and contains records of all federal legislative information dating back to 1973. It includes material from committee hearings, congressional records, legislation, and more. Users can access thousands of bills in HTML format. Due to a limitation of the search engine on Congress.gov, 4Humanities also drew for research on the federal legislature on the Government Publishing Office’s site, Gpo.gov, which contains documents from all branches of the federal government, including congressional bills in PDF and HTML format. Whitehouse.gov is a site maintained by the president’s administration, and is designed to be the public-facing online presence of the executive branch. The site includes material such as statements and releases, press briefings, presidential actions, and more. Since the site currently promotes the Obama administration’s agenda, the material dates back to 2009 when Obama began his tenure. The main emphases of the site are the president’s signature policies, especially on climate change, the economy, and education. Users can read thousands of documents in HTML or PDF format as well as watch interactive videos. Legislature.ca.gov, finally, is the California State Legislature’s site. Consolidating information from both the state Assembly and Senate, the site provides a substantial amount of information on bills, budgets, committees, hearings, leadership, caucuses, and more dating back to 1993 in HTML and PDF format. The research 4Humanities collected from these sources is presented in a set of spreadsheets that include metadata and annotated summaries of all documents referring to the humanities between 2009 and 2015. (For the live, full spreadsheets, see http://bit.ly/4humpoliticsdata. For selected, filtered views of the spreadsheets presented in table format with explanations, see http://bit.ly/4humpoliticsdataviews). In general, Congress acted in a minimalist role in passing laws to enhance the humanities, yet continued to recognize and praise the humanities through resolutions, congressional record articles, and similar publications. Most actual bills to augment the humanities were only introduced, never reaching the floor for a vote. Of the total number of bills related to the humanities during 2009 to 2015, 68 percent failed to make it out of committee. Thirty percent were passed in one branch of the legislature or the other but did not make it through the legislative process to become law. (Just two percent of the total number of bills related to the humanities were signed into law, but that two percent—a single bill—consisted of the Consolidated Appropriations Act of 2014, which was essential for funding federal departments and agencies in general.) The entirety of what passed in the Senate or House thus consisted only of resolutions without the effect of law. Inefficiency was the mark of Congressional action on the humanities, where only symbolic celebration in the form of resolutions was prolific. Drilling down into legislative logic at the state level, 4Humanities also examined the California State Legislature’s online documents, which include resolutions and bills within the state’s bicameral legislature. Forty-three percent of all legislation in California that mentioned the humanities during 2009 to 2015 consisted just of resolutions, almost all of which (91 percent) were repetitious forms of two resolutions. Indeed, over the six years of legislation, two resolutions—one on LGBT Pride Month and another on Asian and Pacific Islander American Heritage Month—appeared repeatedly and together made up 39.6 percent of legislation related to the humanities. The LGBT Pride Month resolution began with a litany of recognition that included the humanities as follows: “Whereas, Lesbian, gay, bisexual, and transgender people have made important and lasting contributions to our great state and nation in every field of endeavor, including, but not limited to, business, medicine, law, humanities, science, literature…that enrich our national life…” The resolution on Asian and Pacific Islander American Heritage Month began with a similar mention of the humanities amid a chorus of recognition: “Whereas, Asian and Pacific Islander Americans continue to cultivate, advance, and lead in the fields of art, fashion, business…humanities, medicine, sports, and entertainment…” Such repeated resolutions served a celebratory purpose, but from another point of view blocked new ideas that could benefit the state. The provisions of Section 41(e)(7)(A) of the Internal Revenue Code, relating to basic research, shall be modified so that “basic research,” for purposes of this section, includes any basic or applied research including scientific inquiry or original investigation for the advancement of scientific or engineering knowledge or the improved effectiveness of commercial products, except that the term does not include any of the following: (1) Basic research conducted outside California, (2) Basic research in the social sciences, arts, or humanities, (3) Basic research for the purpose of improving a commercial product if the improvements relate to style, taste, cosmetic, or seasonal design factors. Inefficiency, or omission, was thus also a mark of the California State Legislature in regard to the humanities. Both the state Senate and Assembly passed into law few bills that mentioned the humanities. By contrast with the U.S. Congress, they did not even offer much in the way of symbolic praise. The picture is somewhat different in the White House, though how effectively different—given the executive branch’s lack of funding power—is open to question. The White House website posted material during 2009 to 2015 that depicts the Obama administration as an active, positive influence on the humanities. For example, the President’s Committee on the Arts and Humanities hosted “Tuesday Talks” addressing public concerns and posted the videos of the talks on the site. First Lady Michelle Obama also mentioned the humanities in speeches for the National Arts and Humanities Youth Program, the Turnaround Arts Initiative, and more. In visiting public schools and promoting education, the First Lady also acted as a role model to motivate students in impoverished areas of the nation to attend school and go on to excellence. In addition, the Obama administration praised the humanities in other ways. By awarding humanities educators, the Champion of Change award, creating a proclamation for the National Arts and Humanities Month, and publicly showing support for the humanities in interviews, Obama attempted to give the humanities a boost. In an interview with Tumblr CEO David Karp, for example, Obama stated: “A great liberal arts humanities education is still critically important, because in today’s global economy, one of the most important skills you have is your ability to work with people and communicate clearly and effectively.” Such promotion of the humanities is evident across the White House website. But, of course, the executive branch can only promote the humanities to a certain extent. Only Congress, not the president, has the power of the purse to fund the humanities in education and society. Despite the president’s good will toward the humanities, for example, the White House website notes that in fiscal year 2012, an “across-the-board” reduction of funds resulted in a decrease to the NEH of $234,000. In order to advance the policy initiatives on the humanities, therefore, agencies under the Obama administration’s watch sought other sources of funding. For example, the NEH partnered with state humanities councils so the humanities could continue to have access to sufficient funds, and the President’s Committee on the Arts and the Humanities expanded the Turnaround Arts Initiative through a public-private partnership. As noted in a White House publication, “The newly expanded program is funded through a public-private partnership, providing over $5 million over the next three years from the U.S. Department of Education, the National Endowment of the Arts, the Ford Foundation and other private foundations and companies to bring arts education into low-performing schools.” The publication goes on to discuss an additional $12 million to be raised from local program partners. While political gridlock in Congress halted bills that could positively affect the humanities, the executive branch thus continued to promote the humanities in education and society. In general, the president of the United States has the ability to set the political agenda in hopes that—as in the case of Obama’s promotion of the humanities—future bills in the legislature will advance that agenda. One additional significant finding is clear when surveying all the political discourse related to the humanities emanating from Washington, D.C., and Sacramento, CA. Factoring the U.S. two-party system into the equation shows that in the material 4Humanities researched the Democrats dominate in talk about the humanities. According to the 2008 and 2012 political party platforms, the Democrats emphasize their commitment to the humanities and arts whereas the Republicans cease to even mention them. The 2008 Democratic Party Platform states, “We support art in schools and increased public funding for the National Endowment for the Arts and the National Endowment for the Humanities,” and their 2012 party platform reiterates this notion. Democrats in this period, of course, controlled the executive branch; they introduced 78 percent of the congressional legislation mentioning the humanities; they wrote 90 percent of the relevant congressional record articles; and they introduced 75.5 percent of the relevant California state legislation. The goal of augmenting the humanities, or at least of talking about it, is not bipartisan. This study by 4Humanities can be useful for scholars who wish to research legislative activity, the humanities, partisan politics, and more. The study reveals that the U.S. Congress and the California State Legislature were ineffective during 2009 to 2015 in augmenting the humanities, as few relevant bills passed into law. Resolutions often passed the Senate or House, but these simple resolutions were political tactics to recognize someone or something, not to put forth nation-changing legislation. The Obama administration, meanwhile, attempted to be as positive and influential as possible within its limited resources, making a place in its political agenda for the humanities. As when other presidents have laid out an agenda, the hope is that the media’s agenda can also be altered, public opinion swayed, and in turn legislators forced by such opinion to act. The current 4Humanities study of political discourse on the humanities is of course limited in chronological and geographical coverage. Future research utilizing online materials may incorporate data going back to 2000 rather than 2009. Analyzing data beginning with the George W. Bush administration would allow for comparison between a Democratic and Republican president as well as between different congressional majority parties. Analyzing data from states beyond California—especially states representative of different regions of the nation—would also provide important additional perspectives. 4Humanities may also pursue one other future mode of research on the topic of this study in conjunction with its “WhatEvery1Says” project. Started in 2013, the latter project collects media discourse about the humanities and submits the material to computational data mining and text analysis. Based on the U.S. and California political materials collected and described in this paper, 4Humanities may conduct data mining of the full texts of relevant White House publications, Congressional legislation, and state legislation to discern broad patterns or trends in the way politicians talk about the humanities that they and their constituencies may not be conscious of, that converge or diverge from public discourse on the humanities in media and elsewhere, and that otherwise provide another way to understand the perceived role of the humanities in society today. Honoring the 40th Anniversary of Humanities Washington and the 15th Anniversary of its Bedtime Stories Literary Gala. 113th Cong., 1st sess., Congressional Record 159, No. 118 (September 10, 2013): E1272-E1273. https://www.congress.gov/congressional-record/2013/9/10/extensions-of-remarks-section/article/e1272-3?q=%7B%22search%22%3A%5B%22%5C%22humanities%5C%22%22%5D%7D&resultIndex=319. White House. “Committee on the Arts and Humanities Announces Expansion of Turnaround Arts Program.” https://www.whitehouse.gov/the-press-office/2014/05/20/committee-arts-and-humanities-announces-expansion-turnaround-arts-progra. White House. “Remarks by the President in Q&A with David Karp, CEO of Tumblr.” https://www.whitehouse.gov/the-press-office/2014/06/10/remarks-president-qa-david-karp-ceo-tumblr. The two major forms of legislation—bills and resolutions—differ because bills have the ability to become law, whereas “simple resolutions relate to the operations of a single chamber or express the collective opinion of that chamber on public policy issues.” (“Bills and Resolutions,” Library of Congress: American Memory, accessed November 23, 2015, http://memory.loc.gov/ammem/amlaw/lwhbsb.html). Research and Development Tax Credit Act of 2009, H.R. 717, 111th Cong., http://www.gpo.gov/fdsys/pkg/BILLS-111hr717ih/html/BILLS-111hr717ih.htm. Honoring the 40th Anniversary of Humanities Washington and the 15th Anniversary of its Bedtime Stories Literary Gala, 113th Cong., 1st sess., Congressional Record 159, No. 118 (September 10, 2013): E1272-E1273, https://www.congress.gov/congressional-record/2013/9/10/extensions-of-remarks-section/article/e1272-3?q=%7B%22search%22%3A%5B%22%5C%22humanities%5C%22%22%5D%7D&resultIndex=319. Relative to Lesbian, Gay, Bisexual, and Transgender (LGBT) Pride Month, H.R. 24, 2015-2016 sess. (California State Legislature), http://www.leginfo.ca.gov/pub/15-16/bill/asm/ab_0001-0050/hr_24_bill_20150622_amended_asm_v98.htm. Relative to Asian and Pacific Islander American Heritage Month, SCR 52, 2015-2016 sess. (California State Legislature), http://www.leginfo.ca.gov/pub/15-16/bill/sen/sb_0051-0100/scr_52_bill_20150610_chaptered.html. Budget Act of 2009, SBX3 1, 2009-2010 sess. (California State Legislature), http://www.leginfo.ca.gov/pub/09-10/bill/sen/sb_0001-0050/sbx3_1_bill_20090220_chaptered.html. California Innovation and Jobs Act, AB 653, 2013-2014 sess. (California State Legislature), http://www.leginfo.ca.gov/pub/13-14/bill/asm/ab_0651-0700/ab_653_bill_20130805_amended_asm_v95.html. This clause was used throughout various pieces of legislation dating back to 2009. White House, “Remarks by the President in Q&A with David Karp, CEO of Tumblr,” https://www.whitehouse.gov/the-press-office/2014/06/10/remarks-president-qa-david-karp-ceo-tumblr. 4Humanities varied its methods of data collection based on the specific affordances of the web-site search engines for each of its sources of political material. With regard to congressional material, 4Humanities used both Congress.gov and Gpo.gov as its research sources. The Congress.gov search engine by itself was only partially suitable for 4Humanities purposes because its system of associating each document with a subject category system caused every document (29,032 total) in the category of “human” to show up in the results of a search for “humanities.” To make searching relevant and feasible, 4Humanities collected from Congress.gov only documents whose titles (rather than full text) mention the humanities. Such material consisted primarily of congressional record articles and executive communication documents. 4Humanities used Gpo.gov to search for and collect other congressional material. This was achieved by using the Sunlight Foundation’s API (application program interface) to query legislation contained in Gpo.gov. (The API console on the Sunlight Foundation’s website allows users to search within legislation, e.g., setting the parameter to “query” and searching “humanities.”) Using the URLs delivered among other metadata by the API, 4Humanities was able to access the full texts of 50 relevant congressional legislative items. 4Humanities then turned again to Congress.gov to search legislation numbers because Congress.gov provides a significant amount of background information on such item, such as the political affiliation of a bill’s author and how far each bill went in the legislative process. Metadata for each piece of legislation’s date, source, title, author, author’s political affiliation, URL, notes, category (bill or resolution), and progress in Congress were collected in a spreadsheet. Research through the White House site’s search engine was by comparison straightforward. The search engine allows a researcher to examine every document on Whitehouse.gov that references the “humanities.” Choosing “everything” as the search parameter for “statements and releases” on the site can accomplish this. Because there are numerous repeated documents in such a search, however, 4Humanities only collected and analyzed the relevant documents. In total, 4Humanities collected 33 relevant documents from the period since President Obama took office in 2009. Metadata for each document’s publication date, source, title, author, and URL as well as the researcher’s summary of the document were recorded in a spreadsheet. The research method for the California State Legislature material was also relatively straightforward. On the homepage of Legislature.ca.gov, the “bill search” module allows one to search by bill number, author, or keyword. Selecting “keyword” and inputting “humanities” as the parameter in both Houses dating back to 2009 resulted in finding 53 relevant pieces of legislation. Metadata for the California material (the same as that for congressional materials) was collected in a spreadsheet. 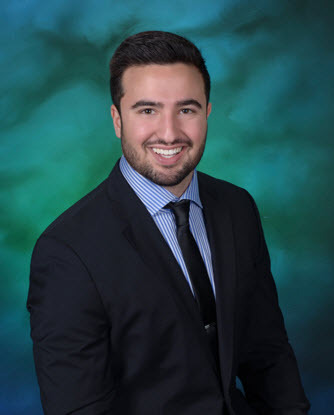 Austin Yack is an undergraduate researcher at University of California, Santa Barbara and will graduate in Spring 2016 with a Bachelor of Arts in Political Science and a Minor in English. Under the supervision of Dr. Alan Liu, Austin joined 4Humanities in Summer 2015 as the team’s research specialist focused on United States political discourse at both the federal and state levels. The 4Humanities project, WhatEvery1Says, is collecting and analyzing a corpus of public discourse about the humanities and liberal arts, and Austin’s knowledge in politics, law, and journalism allowed him to bring a diverse perspective to the project. He has interned at The Hill Newspaper in Washington, D.C. and the Santa Barbara District Attorney’s Office.